birthdays are fun, maybe…anyway, i was given a copy of the book, mastering fermentation, for my birthday. there are so many recipes to try. 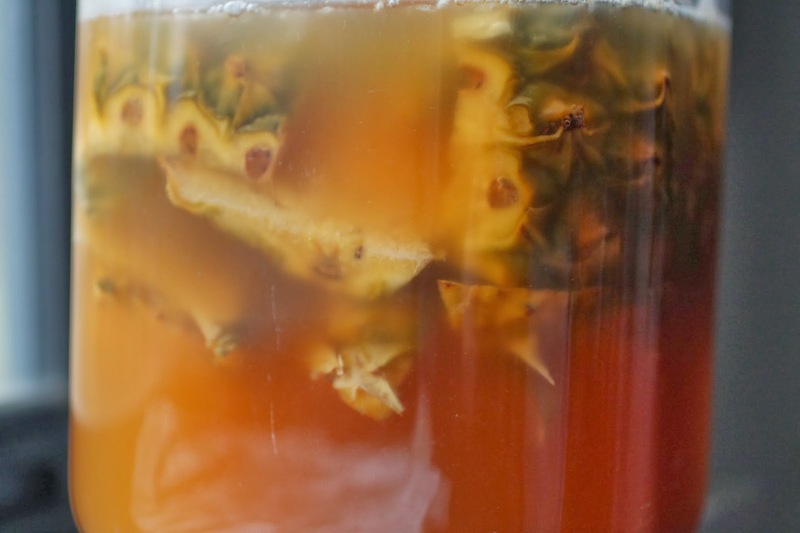 in my cupboard is almost always a batch of kombucha so fermented things are something i enjoy. 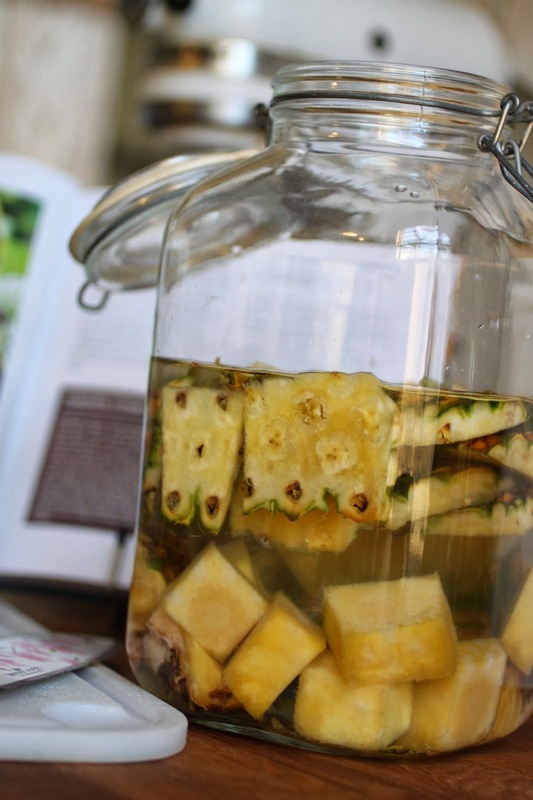 my first choice in recipes, pineapple vinegar. why? it just sounds so different that i had to try it. 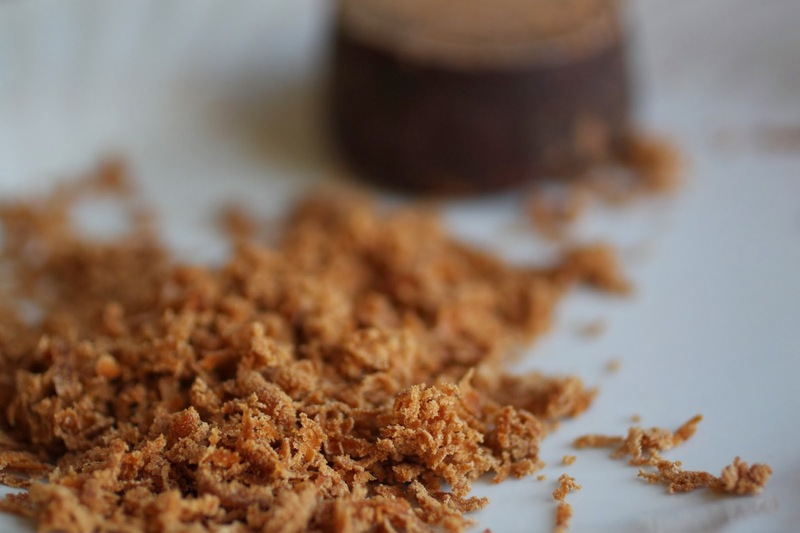 the recipe calls for piloncillo, a pure cane sugar product that is found in latino markets. the sugar is formed into a cone or a disk and to use it, you have to grate it. because it is a pure cane sugar product, it is not refined and it is dark like brown sugar. the recipe calls for the peel and core of a pineapple. not a problem. i work in a restaurant that uses pineapples daily so getting someone to save me the peel and core was as simple as asking them to do it. 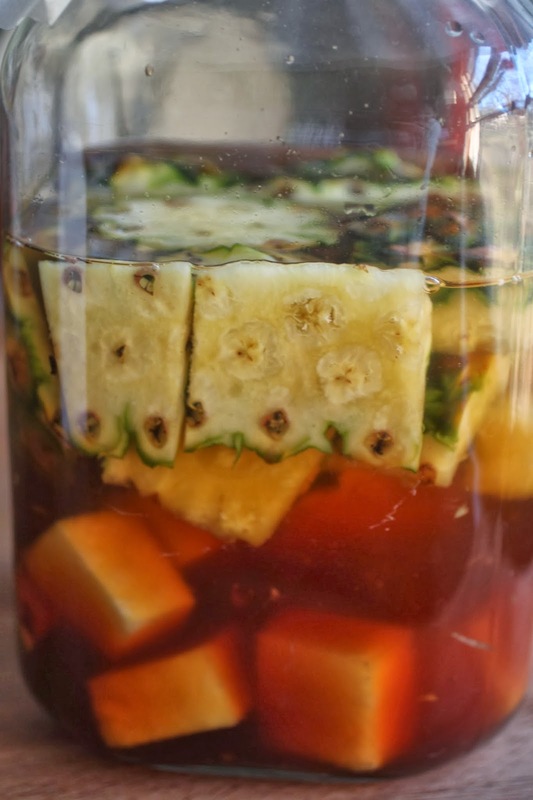 the pineapple peels/core are combined with the piloncillo and allowed to sit undisturbed in a dark place and ferment. this is what it looks like after two weeks. there is definitely a change-it is cloudy. there is a sediment on the bottom that is the byproduct of the sugar fermenting and an odd mixture of stuff on top. it also tastes like vinegar-yes, i am a little crazy and i tasted it out of curiosity. after two weeks, the mixture is fed two tablespoons of grated piloncillo. stay tuned for the next report, this could take a while, at least 6 weeks.